Punta del Este is one of the most important tourist destinations in Latin America. Visitors from all over the world, mainly from Brazil and Argentina, choose Enjoy Punta del Este. Its privileged location; its integral proposal of entertainment, gastronomy and relaxation; consolidate the hotel as the epicenter of the city, becoming the leading entertainment center in the region. On this occasion Zitro went out to meet the Brazilian players and installed its first bank of video bingo machines in the casino Enjoy Punta del Este. Brazil is one of the most important markets for the hotel, representing 50% of its customers. Gaming lovers who previously could play in Brazil’s bingo halls games that were a resounding success, such as Turbo, Flatz or Bingo 3, will now be able to enjoy the new Zitro video bingo games; such as Bingo Story, Golazooo, Hot Dice, Spin Bingo, Top3 or Ultimate Bingo in Paris. 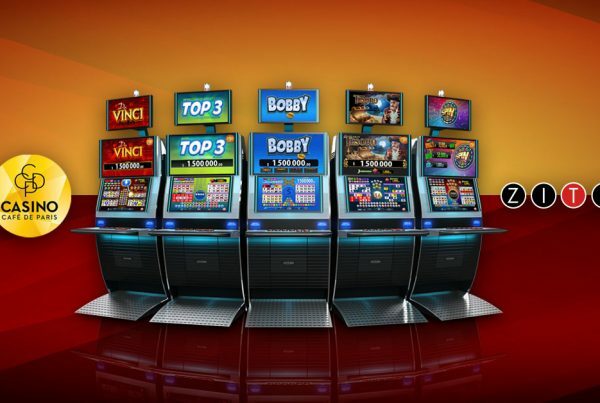 These new games are accompanied by already legendary elements of Zitro such as the Super Win button, which allows the player to access the Super Bingo, Jerrypot, Bobby, ThunderBall and Sale prizes, or as the community awards Aircash and Treasure Box.